Crazee Wear BAGGY PANTS STYLE 500 Made from cotton/poly blend. Front pleats, bar tacked seams and textured puff thread for seam strength. Designed for comfort, allowing for freedom to squat, karate kick or recover from surgery. The pant leg tapers to the ankle. Crazee Wear sophisticated print selection has world-wide appeal for even the most discriminating taste. No worry about shrinkage. 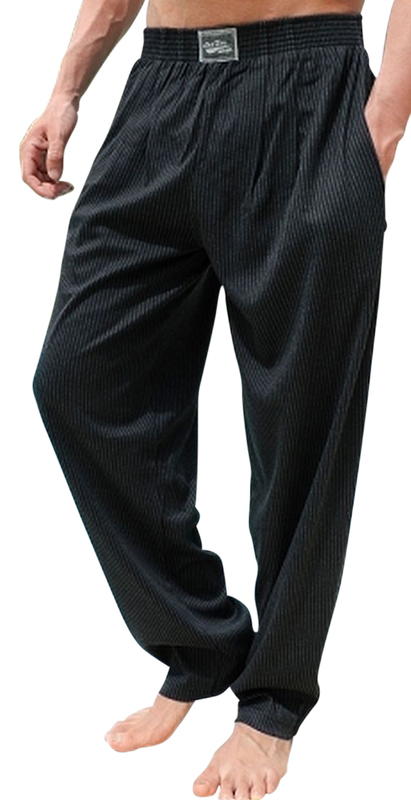 Crazee Wear pants are pre-shrunk, pre-washed and softened for the highest grade of quality. Cold wash and hang dry is recommended .Perfect sports pants. Sizing: M- 5.6"-5.9" / waist 32"-36" Lg 5.10"-6.1"/ waist 34-38" XL- 6.1"-6.4"/ waist 35"-42" XXL- 6.2"-6.6" / waist 42"-46"